In modern-day song sharing — what we think of as “music” — there are three participants: musicians, listeners and industry. When music first originated, there was little if any separation between musician and listener. Certainly, there was no business of music upon which to build an industry. In prehistoric times, music was part of a holistic method of communication bundled with body movements and primitive utterances, which would respectively evolve to become body language and language proper. Over time, however, the role of the music creator — once a role shared by all — became specialized. The musician was separated and exalted above the listening audience. And over the last few centuries, this relationship between artist and audience was rapidly commercialized, giving birth to the music industry. 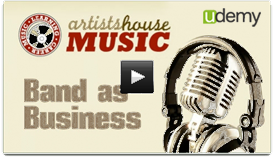 Music — song sharing — happens between musician, listener and industry. It is through song sharing that music is born. Much like the observation of a quantum particle causes it to exist in a certain state, music only truly exists when it is shared. Music is not a thing, but an activity, something people do. One cannot possess music, one can only be possessed by it. Song sharing is not just passing an MP3 across the Internet, though free access to digital music is unquestionably the latest major turning point in the history of song sharing. Song sharing is any act that brings music into being. Composing, performing and recording are the ways musicians share songs. Listeners can distribute copies — such as MP3s shared online — but unless these copies were listened to, no song sharing really took place. The listener shares songs by playing them for other people, or getting others to listen. In a world where musical quality is judged in dollars and not sense, the listener’s role in music’s dissemination is grossly overlooked, though that is changing quickly. For the last couple of centuries, the music industry has produced, distributed and marketed songs to be sold. They owe their existence to song sharing by musicians and listeners. As such, they have been cast in a gatekeeper role, mediating the relationship between musician and listener. For the vast majority of music history, song sharing happened freely and naturally between musicians and listeners. The act of making and listening to music is hardwired into our brains, involving more cognition in a greater number of areas than any other activity. Music evolved over millennia without any mediation of industry, becoming the creative center around which cultures formed. Song sharing was, for most of its history, was the glue that bonded individuals together through shared expression, literally forming societies. Four turning points in the history of song sharing forever transformed its nature. Not coincidentally, each turning point marked a major milestone in the formation of the music industry. Each of these turning points centered (naturally) around one of the three ways musicians share songs with listeners. Composition is the DNA of song — instructions for its formation. Performance brings song to life, the performance was the act of song sharing until the recording was invented a little over a century ago — a blip in the epic history of music. Before then, composition and performance were essentially inseparable. Music was an oral tradition, and songs were passed down in this tribal, cave-person folk tradition: sacred copies that nonetheless changed ever so slightly as they were reproduced throughout the ages, mimicking the process of human evolution. The music was not made by musicians but rather by cultures, and as such, there were no composers or performers, only traditions of sharing songs. The role of musician became more specialized as the technology of music evolved. The voice is an instrument we all possess, and there are many things in nature, including our own bodies, which serve as readymade percussion instruments. The sounds of nature and the movements of our own bodies inspired and possessed us to create the first music. But as instruments became more sophisticated, the role of musician began to be more distinguishable against the listening audience. This was the origin of the composition and the performance as separate from a cultural tradition. The role of song sharing in the civilizations of antiquity was a sacred, spiritual one, and seen as the domain of the gods themselves. The first major turning point in the history of song sharing has to do with Pythagoras’s discovery of the mathematics of music. Though his teachings were to be lost or ignored for many centuries, the revelations of Pythagoras eventually enabled music theory to develop, ushering in a new wave of musical technology to honor what early civilizations saw as the divine music of the cosmos. Over the second millennia, we developed new instruments, new methods of composition and performance, new ways of notating and communicating musical ideas. These advances led to the final distinction of musician as separate from listener, and of composition as separate from performance. Thus song sharing came to be defined as a discrete activity, exchange and relationship between musician and audience. The Romantic period ushers in the second major turning point in the history of song sharing, this one having to do with performance. In the hegemonic Western world, performance morphed from folk tradition to the work of art of an individual genius. This had a profound impact on song sharing, bringing about the classical period of composition. It removed music from the domain of the gods and placed it squarely in the hands of humans. This transition began with financial support of the arts by aristocrats but ended with the audience as patron. This fundamental transformation for the first time created a thriving market for music performance, and this capital infusion drove the evolution of music technology and theory to even greater heights. With composition and performance clearly defined and ascendant in profitability, the third and perhaps most transformational turning point in the history of song sharing is the invention of recorded music. At the turn of the 20th century, the phonograph quickly ushered in an exponential increase in the market for compositions. At the same time, performance began to take on a completely different role, being more of a means to the end of recording or marketing recordings than valued for the music itself. New broadcast technologies and recording/playback electronics fanned the flames.In what had now become a familiar cycle, music technology and industry advanced hand-in-hand on exponential scales, forever altering the culture of music and the roles of musician and listener. How quickly we forgot that prior to recordings, performance was the only way to hear music. 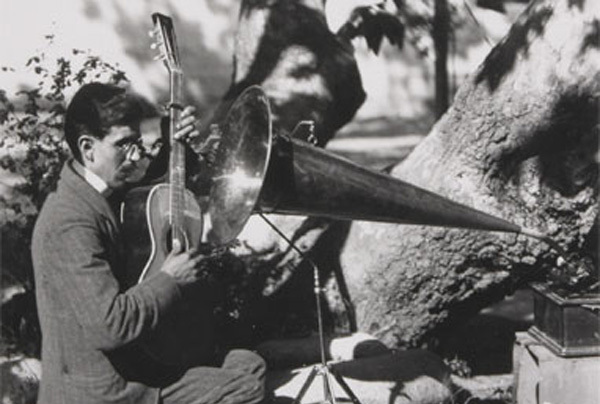 Toward the end of the 20th century, an imbalance in the relationship between musician, listener and industry started becoming apparent. As the market for music grew, the music laws and technologies governing the market for music were increasingly co-opted by large corporations, causing a net negative effect on culture. Both as a counter-reaction to this corporate hegemony/homogeny — and as a consequence of complacency and nearsightedness of the the record industry elite — song sharing technologies were re-appropriated by listeners en masse as they sought an equilibrium between culture and commerce. The industry responded by doubling down on restrictive laws and technologies of control, casting its customers as thieves, which brings us to something of a modern-day impasse in the evolution of song sharing. The history of song sharing can put into in perspective some very important questions about the origin, meaning and purpose of music. These vital issues are all too ignored in our modern-day appraisal of music as entertainment product, of musician as celebrity, of profit as purpose. This perception is itself a product of the music industry, and as the market for music came to dominate our culture, we lost sight of the true meaning, power and purpose of music. The true purpose of music is to bond humans together in shared emotional, physical and spiritual experience. As such, music has the power to make us better people, improve our relationships, and make our society better. It has the power to help us connect with and heal our bodies. It empowers us through creativity and enriches us through a deep understanding of the human condition. All these powers of music that we lost sight of are returning, thanks to the fourth turning point in the history of song sharing — free access to music. This is not the death of the music industry, but rather a long overdue re-balancing of the relationship between musician, listener and industry. Though the industry fights this change with all its legal and financial might, the ancient power of song sharing between musician and listener, amplified by digital technology, is too great to suppress any longer. Today, listeners are the new patrons of music — neither mass audiences via industry gatekeepers nor aristocrats have the power alone to sustain modern music culture. The separation between musician and listener is disappearing as technology democratizes composition, performance and recording. Music’s fans become DJs, remixers and mashup artists — musicians in their own right. The gatekeepers are a disappearing vestigial tail that had largely evolved simply to grab hold of money — the deep-seated and long-evolved power of song sharing transcends the market to speak to the soul. We are rediscovering music’s incredible power to heal and to change ourselves and society for the better, rather than pigeonholing the most divine human expression to mere sonic product. As an epilogue, a fifth and final turning point in song sharing is on the horizon, again driven by the exponential progress of technology. In many ways this turning point marks a return to the original, prehistoric role of music as a central component in a holistic expression which allowed us to survive in a challenging landscape, joining us together in the tribes that would become the first societies. The lines are blurring between musician, listener and industry; between composition, performance and recording; between culture and commerce; between technology and law. Our modern-day music universe sets the tone for this final and total technological transformation of music that will take song sharing beyond the audible and directly into the brain. The cutting edge of neuroscience and music theory points the way to a culture is based on computation. Perhaps then we will return to the reality of music as the sacred essence of all things, the song that we play by living. Life is a song we are sharing, and song sharing is the way in which we harmonize with ourselves, with others, and with the Universe at large. Best article on the origin of music that I have read by farrrrr! !